"Make today magical!" And I must say, I really felt the magic when I got my hands on the latest Belle de Jour (BDJ) Power Planner. Viviamo! Inc. never lets us down when it comes to their collection of planners for upcoming years. Each year, they release a collection of different planners following different themes. And recently, they launched their 2019 product line-up. The most-awaited launch was held at Estancia Mall in Capitol Commons last October 20-21. 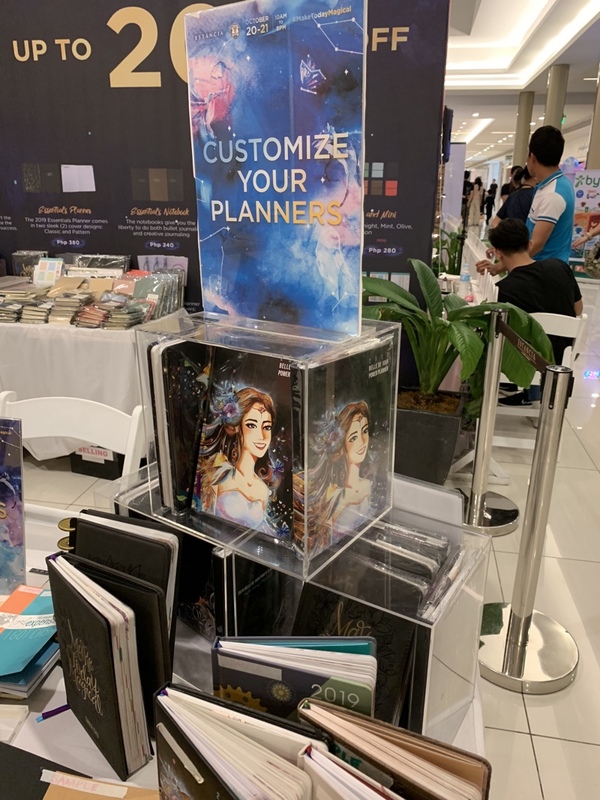 The quoted phrase "Make Today Magical" is the 2019 Belle de Jour theme for their planner and weekend event. I really admire the idea of letting their attendees feel the enchanting world that the planner is promoting. The event place was fantastic and flawless, there were plenty of activities to enjoy, and they even prepared some workshops and talks that really turned the celebration into a whimsical and captivating experience. During the talk, the founder and president of Viviamo! Inc., Darlyn Sandra Ty. shared this phrase, "We believe that the magic starts from within." and I believed her because I too believe that we create our own magical ways of life. She also added, "Our 2019 theme 'Make Today Magical' reinforced the concept of paradigm shift-the magic in changing the way you think, how you perceive things, and how it can powerfully change the way you live." If you're new to BDJ planner, let me share to you their latest collection for 2019. There are five 2019 planners where you can choose the perfect one for you, but getting one is boring, you can still get a bunch of planners if you liked them all. You can get one for your home activities, for work, for occasions or even for your extra curricular. The 2019 collection is composed of 2019 Belle de Jour Power Planner, NAVI 2019 Planner, Focus 2019 Journal, Everything is Possible 2019 Planner, and the 2019 Essentials Planner. Lots of options for you to choose for, while as for me, the 2019 Belle de Jour Power Planner is the perfect match for me. It has a cute girly look that I loved so much, the weekly view also gathered plus points because I like how I can see my schedule in just one glance, and you can even experience Augmented or Virtual Reality by using Zappar App on the cover of the planner. Aside from these features, the planner also has special pages like check lists, mood trackers, dream board, and lots more. My favorite special page is the dream board, where everything I write on it really comes true. Speaking of dream board, I joined in the activity that involves the special page, Dream Board, where you were to write what dream you'd wish to come to life. And guess what I wrote! I wrote there, "Baby girl na! Sana magkatotoo na!" -- aside from wishing, I'm also praying for this. I hope God and dream board can help me with this one wish. I got the gold ticket pass for free access to different booths and activities such as the Craft Booth, Glambooth, Boomie Booth, Canvas Bag, Stamp Station, the Gratitude Jar, Tarot Card Reading and lots of other fun and exciting activities. 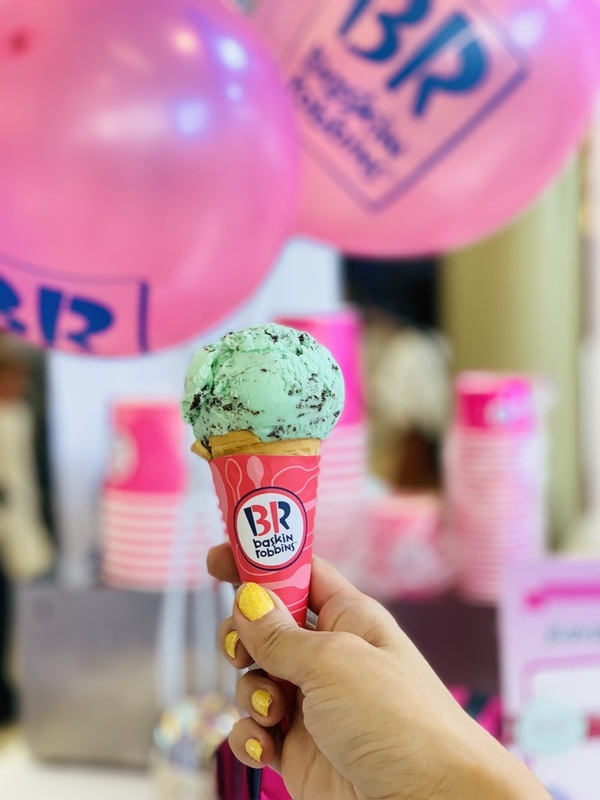 The whole experience is great on its own, but was elevated with a free scoop of Baskin Robbins ice cream! Who doesn't love ice cream? It's heaven! The 2-day weekend event brought by BDJ, allowed the guests to fully uncover their own magic and taught them how to live life to the fullest! As the saying goes, Y-O-L-O! BDJ provided Passion/Purpose talks from various speakers that are mostly women, travel and entrepreneurial organizations that inspires every listener to strive harder in achieving their goals. When it comes to unlocking your inner talent and creativity, BDJ also have other activities where you can explore your artistic side by trying their calligraphy methods which includes Basic Brush Calligraphy, Calligraphy Blends and Shadows, and Calligraphy with Backgrounds and WreathsCalligraphy with Leah Ang of Calligraphy Love MNL; or master the skill of creating double-tap worthy Instagram photos with content creator Kenneth Amparo. We also got to experience DIY workshops and create things with our own two hands. Some examples are creating DIY beauty and home remedy with the use of virgin coconut oil with Zenutrients, designing cakes with the help of Goldilocks, and learning to put on makeup with Revlon. If you think that what I've shared above is a lot, then let me stop you there because you're just pass halfway through the entire magical experience. Because aside from those things, there is also a chance where we got to share stories and pour our hearts out in visualizing and designing our best year with Serious Play Workshops—Life Builds session with Lego instructor and life coach Ina Bacud, or Vision board-making with expert and coach Trixie Esguerra. We were also given access to team sharing and mentoring sessions on life and business with successful women entrepreneur and the brainchild of BDJ Power Planner Darlyn Sandra Ty, mental health advocate Dr. Gia Sison, MD., and the woman behind the famous Witty Will Save the World Co. journals and notebooks, Chinggay Nuque. The magical event wouldn't be complete if you're going home empty-handed, right? Well, Viviamo! 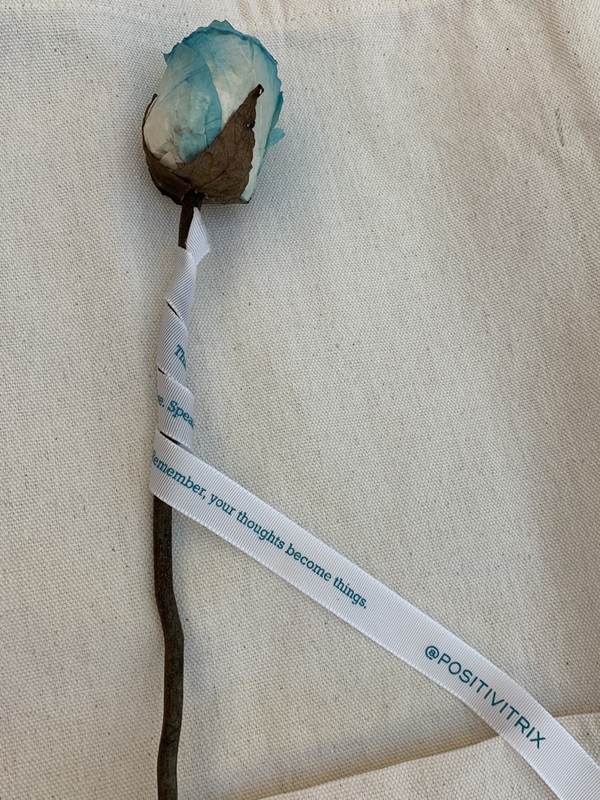 Inc. prepared a little something to remind every guest of the whimsical journey with Belle de Jour 2019. They gave away freebies and other BDJ products from several craft and brand partners. The whole magical experience was made possible by BDJ’s generous sponsors including Artsy Cassey, Basilur Tea, Baskin-Robbins, Browhaus, BYBA, Canmake, Celeteque, Craft Carrot, Crafted by Sophie, Crazy About Paper, Curves, Fitness Gourmet,Fly Shades, Frankie's New York Buffalo Wings, Goldilocks, Great Joy Crafts, GuavaPass, McDo, Parisian, PlanxCo, Qrated Crates,Revlon, Serenitea, Sip PH, SkinHouse, Soapranos, Sqooid, Strip, StyleGenie, The Coffee Bean & Tea Leaf, The Heart Project PH, Tokyo Finds, Zalora and Zenutrients.Cosmopolitan Philippines and Wheninmanila.com were the official media partners of the Make Today Magical: BDJ 2019 Launch Weekend. 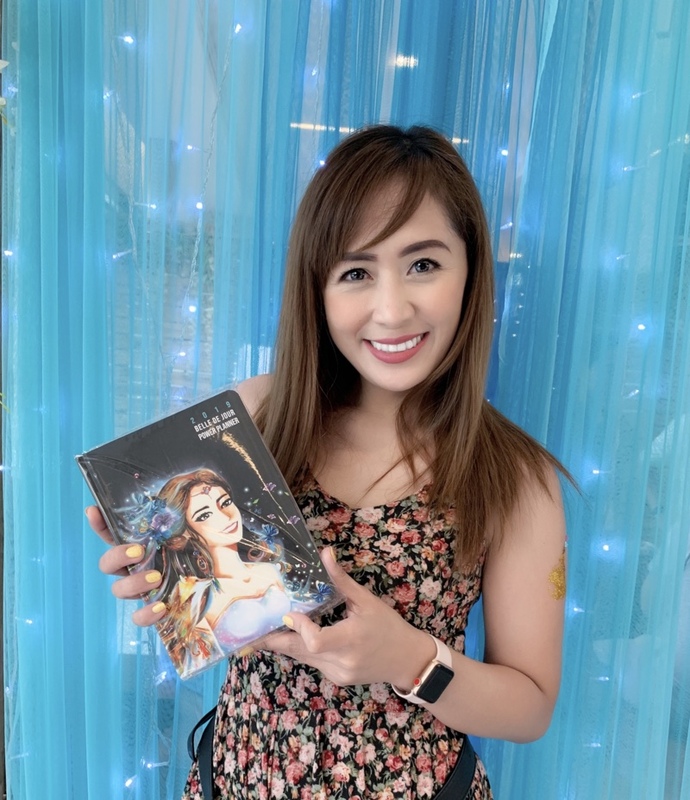 If you're looking forward to the upcoming year, just always keep in mind that the magic lies within you and you have the power to turn your dreams into reality with Belle de Jour Power Planner. Also, if you don't have one right now, you can get your BDJ products at all leading bookstores nationwide and on their official website at ilovebdj.com.